When Tipping Point Photography began, it was built on the idea that photos can be drivers of social change. There are many iconic images that have graced the pages of magazines like National Geographic and Time magazines that have brought tears to our eyes, punched us in the gut and raised our awareness of the plight of people and places beyond the radius of our daily lives. A quick spin through the gallery of Pulitzer Prize-winning photos at the Newseum last month offers a good overview–you’ll probably recognize more than a few of them. If you can’t make it to the Newseum in person, this article has a brief overview of what you’ll find there. For me, this concept has expanded: it’s about the images I can produce, but it’s also about creating that spark for others. Revolutions start with individuals who are empowered to tell their own stories and shine light in the dark places. Start ’em young! Photo: Haydee Lopez. Photography is a fundamental tool to achieve this. I know this because it worked for me. If you’re going to play a part in social movements, you should know how to use this tool, too. How can you get started? Spend some time with me. You’re already smarter than your camera, so don’t let it do the thinking for you. 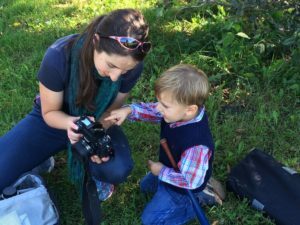 Together we’ll cover the basics of using your DSLR, and then spend some time taking photos and receiving feedback on the technical and creative components of your work. Let’s chat about how I can help you or your favorite photographer take your knowledge to the next level! E-mail me today.